December flew by in a flash…or rather a very busy blur of both fun & productivity. Our December days were chock full of holiday card printing & shipping, calendar assembly, cooking & eating the best treats, visiting with friends & family, working on new wedding designs, & lots of quality cat time. It has been a busy Winter so far and we are so pleased to welcome 2013 & all of the additional days of “Winter busy” that it will bring! 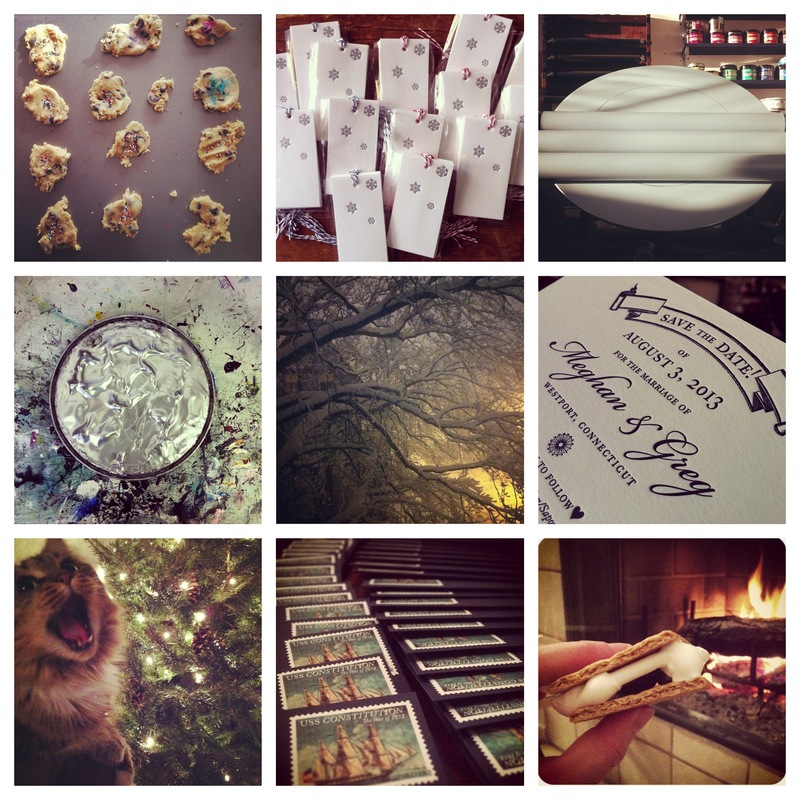 Here’s a bit of our favorite December moments that we captured on Instagram…or just a bit of us lately. You are currently reading lately… at spoon&sailor.